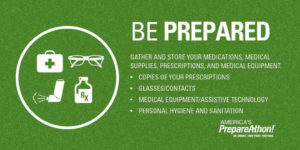 We carry select emergency supplies and occasionally post articles about these, and preparedness in general. Topics vary from usage of equipment such as emergency blankets, to posts on prepping kits. We tend to post about the products we carry. Grab-N-Go Warm Hand Warmers ‘Shake Up’ the Industry! 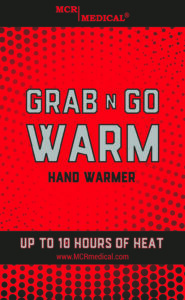 Grab-N-Go Warm hand warmers are air activated and provide up to 10 hours of heat! Our Grab-N-Go Warm hand warmers are an outstanding addition to our MCR Medical product line. MCR Medical is proud to present the arrival of our newest product. Introducing the Grab-N-Go Warm hand warmers. These small but mighty hand warmers are air activated and give you superior heat up to 10 hours. Just give them a little ‘shake’ and within seconds feel the warmth. After months of product development we believe that our new hand warmers are superior to any on the market. 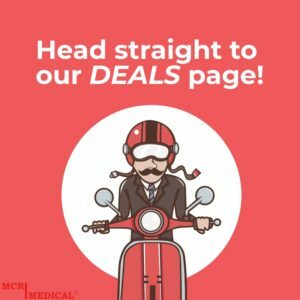 With the addition of our free shipping and low pricing you will not find a better deal online. We of course encourage you to shop around but we are confident you will come back to MCR Medical for the Grab-N-Go Warm hand warmers. Continue reading Grab-N-Go Warm Hand Warmers ‘Shake Up’ the Industry! Posted on December 18, 2017 January 16, 2018 Author MCR MedicalCategories Emergency Supplies8 Comments on Grab-N-Go Warm Hand Warmers ‘Shake Up’ the Industry!